Make Watertown NY in the Thousand Islands Your Paradise Vacation Spot! Watertown is an appropriately named city on the shores of the great Black River in upstate New York's Thousand Islands region. The picturesque landscape surrounding Watertown is an ideal place for hikers and bikers to enjoy the scenery while providing a haven for beautiful plants and wildlife. Boating and fishing on the Black River are favorite pastimes of Watertown residents and visitors alike. For Visitors wanting to get a little closer to the water, The Black River Gorge provides the best whitewater rafting and kayaking in all of New York State. The gorge offers challenging lines for skilled experts as well as calmer lines for the less experienced. Watertown, NY has spectacular museums, lush parks, and a wonderful zoo to entertain its visitors and tourists. In addition to these great attractions, Watertown, NY is also home to the Miss New York Pageant, held every year in the State Office Building. A trip through downtown reveals Watertown's prosperous past. In the early 1900's, Watertown was said to have had more millionaires per capita than any other city in the United States! The historic downtown district has preserved the stately mansions and dignified buildings of this era, and visitors love to admire their grandeur. 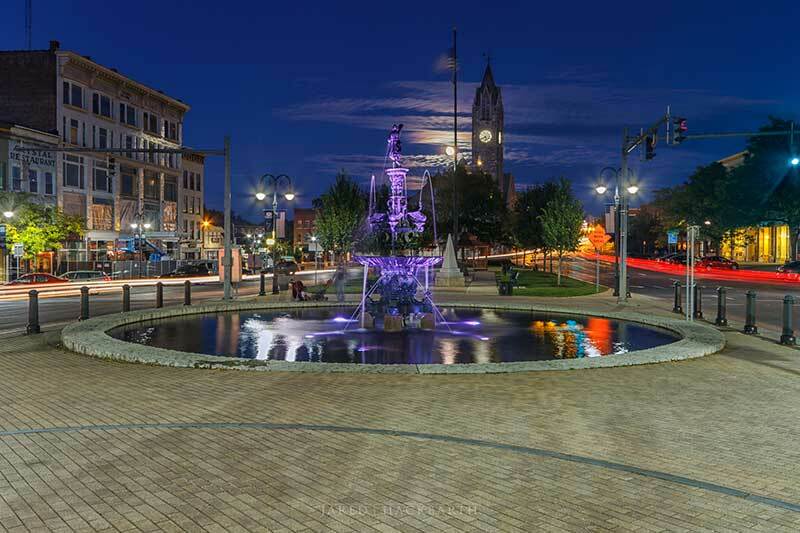 With all the sites to see and entertainment options available, it is no wonder vacationers and honeymooners are putting Watertown, NY on the top of their lists. The city provides a beautiful setting with many great restaurants and lodging options for the perfect paradise vacation in the 1000 Islands region.